This is part of a large stamp and you're going to have so much fun with it. This is such a lovely set on its own, or used with other Uniko sets. I used the digital images that came free last year on this card - it'll give you an idea of what's to come!! 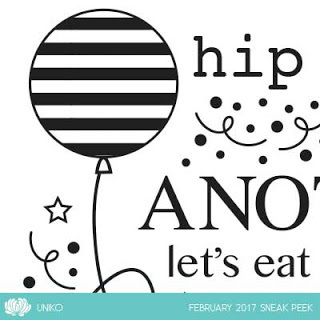 Sneak Peeks: 18th and 19th February - a hint of what's to come! Introductions: 20th - 24th February - a chance to see each set in more detail with a daily blog hop from the Design Team. RELEASE DAY! : Saturday 25th February, 9.00am GMT. 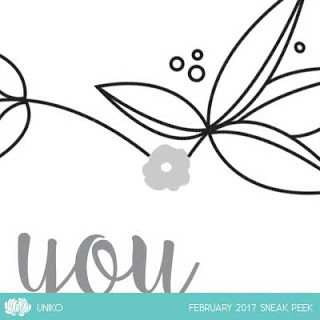 You will get to see more inspiration projects from the Design Team, as well as be able to purchase the stamps from the Uniko Shop. And, as always, there will be a Design Team Blog Hop and Giveaway!! That's not all! Today sees the return of Super FREE Saturday - a feature that Bev had on her blog some years ago. 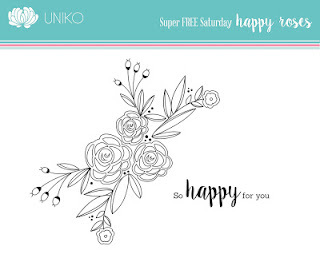 As we're celebrating Uniko's 5th Birthday, Bev has an extra freebie for you - some lovely flowers which co-ordinate perfectly with Originally Organic. Do visit Bev's blog where there is a link to download the image and sentiment. I printed the flowers on white card, coloured them with Copics and the carefully cut them out. 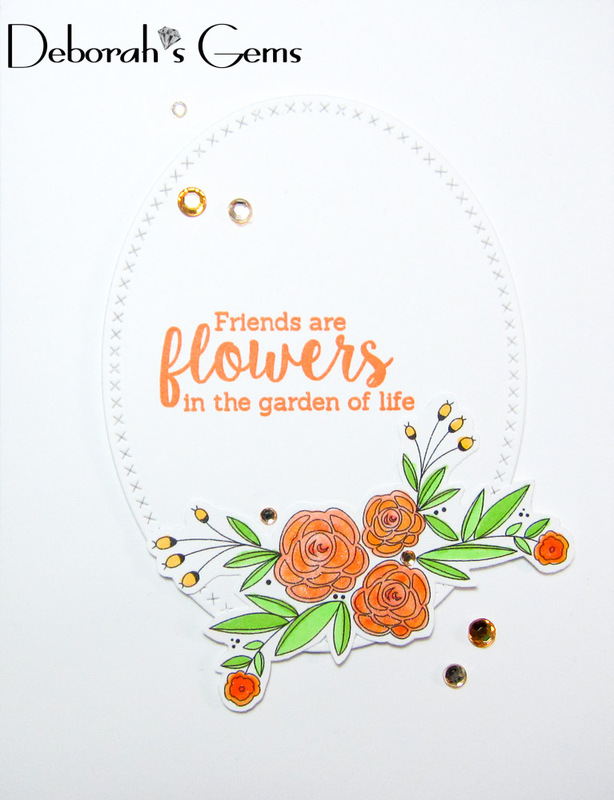 I stamped the sentiment on a die cut oval and attached the panel with dimensional tape. I adhered the flowers to the side and finished the front by adding some gems. On the inside I cut a mat layer of peach card and stamped a sentiment and flowers on the white panel. 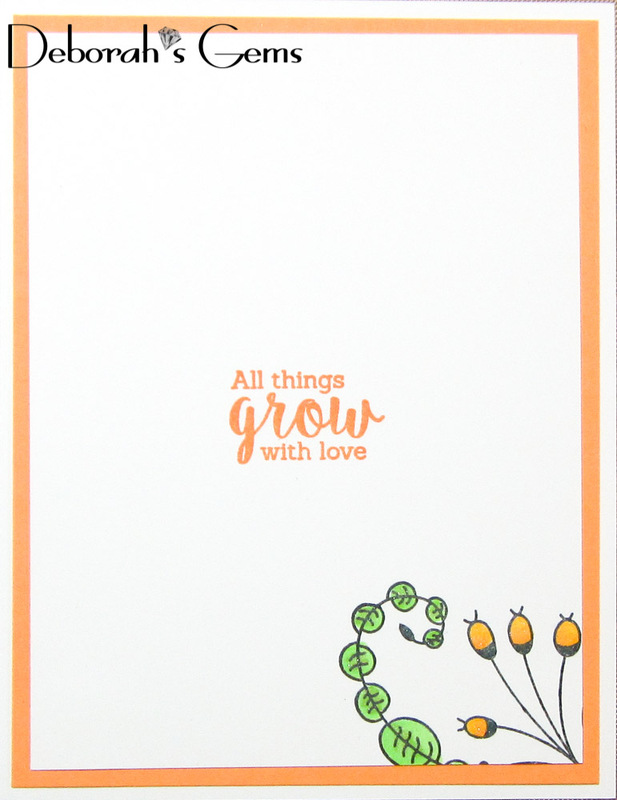 I'm submitting this card to Love to Craft Challenge - LTCCB#7 where the theme is anything goes. 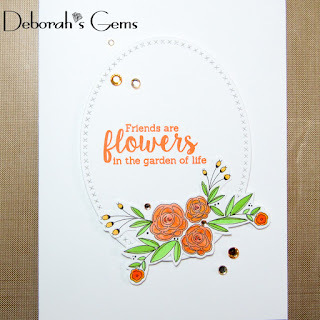 What a beautiful card, love the orange flowers and your design is beautiful too. Great creations and spring like. Love the edges you have created. Gorgeous card! I love your briliant coloring. Thank you for sharing at LTCCB!